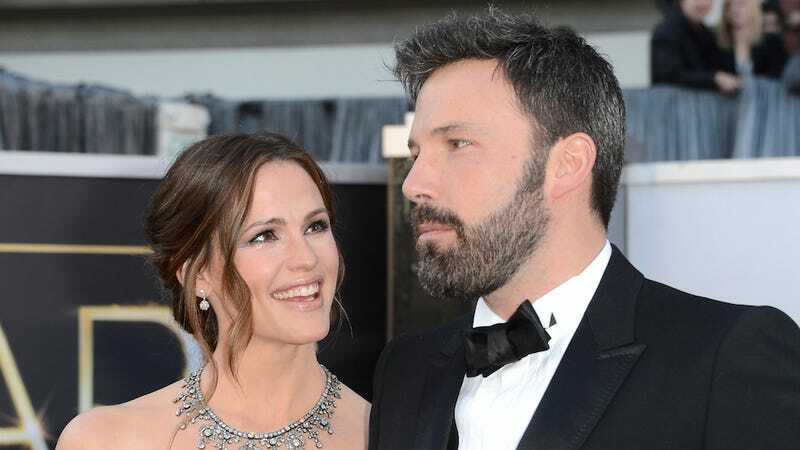 Ben Affleck is being so polite and nice about his soon-to-be ex wife Jennifer Garner’s “revealing” Vanity Fair interview and I’m so booooooored with celebrities right now. “We had been separated for months before I ever heard about the nanny. She had nothing to do with our decision to divorce. She was not a part of the equation. Bad judgment? Yes. It’s not great for your kids for [a nanny] to disappear from their lives.” Months later, she’s still assessing the damage. “I have had to have conversations about the meaning of ‘scandal,’” she says, with her children. Now a full half month from the interview, Ben has finally issued a response, which—if he had taken HALF a second to think about it—could have been crazy and exciting, but is instead pleasant, dull, and—worst of all—responsible. Ugh, FINE. Be cordial! But keep in mind that this whole “bread and circuses” thing only works if we get a goddamn circus.